After learning that some bats are sick,the children decided to sell cookies to raise money to help scientists find a cure . They decided on a bake sale.They also wanted to share all that they have learned about bats with the college students on campus.They remembered our fall Butterfly Parade,and thought it would be a good idea to have a Bat Parade as well. So together,we decided to combine all of these activities and planned a" Bat Festival" for Friday,March 18th,2011. 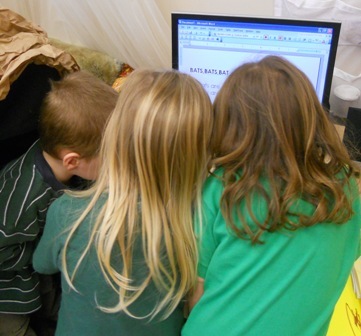 "We told Miss Hope what to type, but we typed Bats, Bats, Bats all by ourselves!" 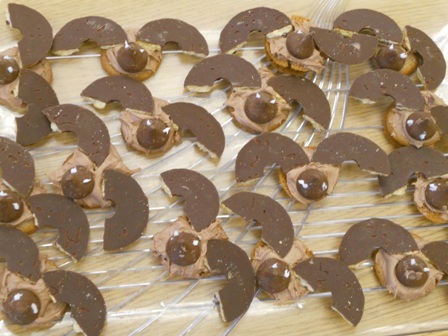 "A roost of bat cookies!" "I am counting numbers on the butter." Greetings from our preschool class of budding chiroptologists in NJ. 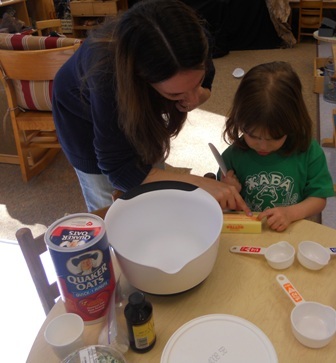 As a culminating activity the children wanted to raise money for WNS research. Our bake sale made $156.00 .It is on it’s way to you! I am hoping that when my class of three year olds are adults there will still be Indiana and Little Brown Bats in this world thanks to people like you. 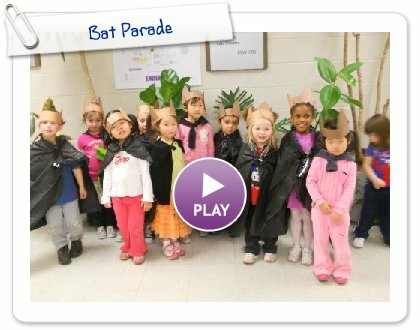 We were really touched by your work to make money to help fight White Nose Syndrome. This was really wonderful. And the bats will like it too. We will send you copies of four of our publications, Bats of Indiana, Bats of Michigan, Bats of Missouri, and Bats of Ohio, . and also some of our brochures. We will perhaps do a Bats of New Jersey some day. We too hope that we can find the cause and treatment for this, and that the bats will survive.